I got interviewed for an article in The Community Voice about my yarn bombs in and around Cotati. Pretty nice! 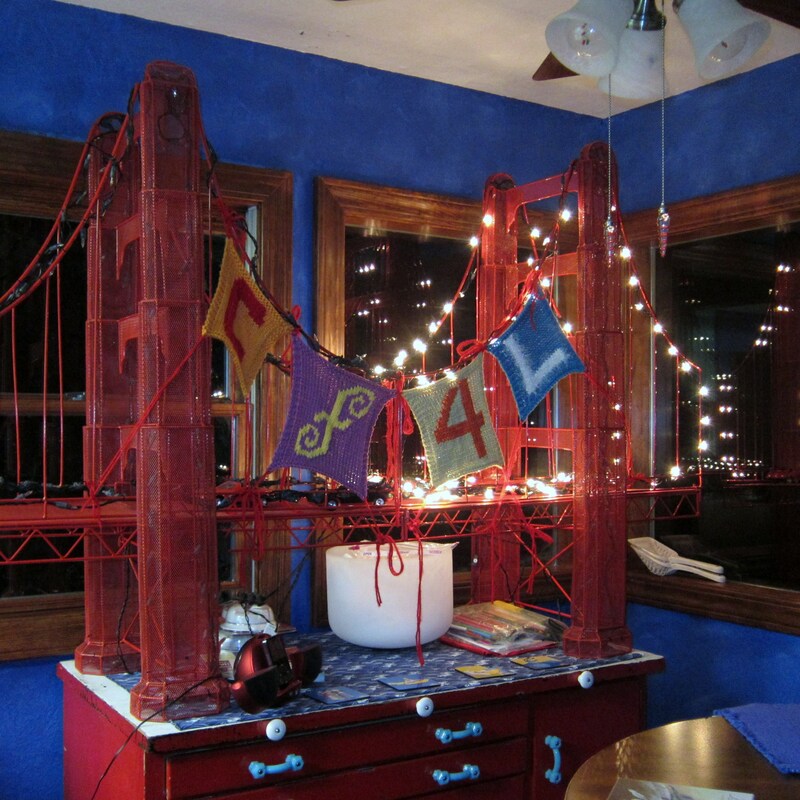 CF4L on the "Golden Gate Bridge"
Yes, I do have a 6′ x 4′ replica of the Golden Gate Bridge in my dining room. Doesn’t everyone? 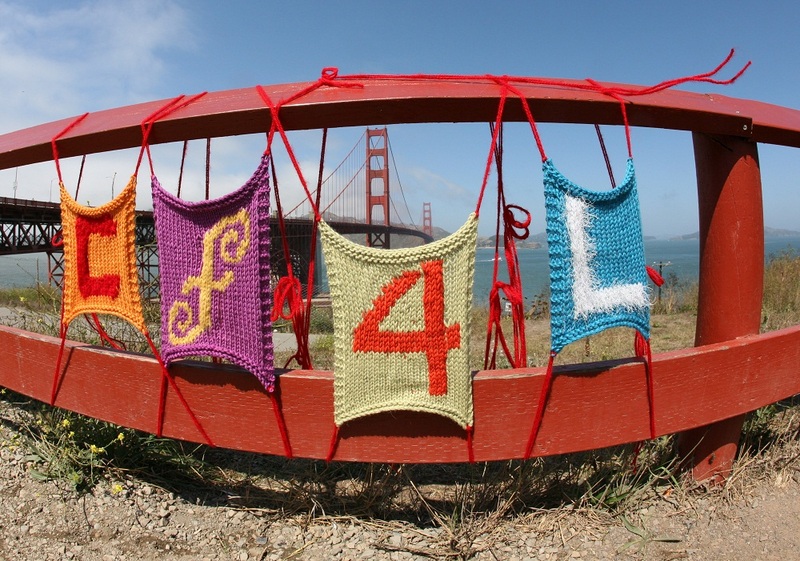 I am in love with the yarn bombing concept. I try to spread creativity wherever I go but I can’t imagine how long it takes for the installation. I do my work in secrecy and not everyone who sees it knows what they’re looking at. Sometimes it’s stacked stones, sometimes it’s leaves pinned together with pine needles, sometimes it’s an impromptu shrine made with items I’ve found on my walk. The knitting is done off site, sometimes long before I know where I’m going to install it. The installation itself doesn’t usually take very long. I generally do it in broad daylight and rarely does anyone ever question me about it, and when they do it’s always been in a friendly way. What you do sounds cool. I’d be very pleased to find your work if I was out on a walk somewhere.